How Did We Get So Small? When we find that we have been making ourselves small – that we’ve been in a cycle of shrinking back from our own life – we must take a look at how we got here. From my experiences, I believe: before healing can come, we must be willing to hold our painful realities in our hands and process them. There is healing and power that comes from knowing our own story. 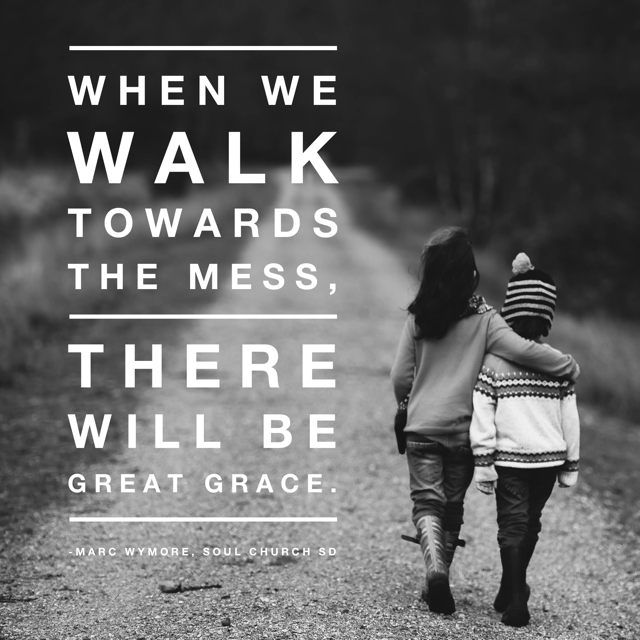 Walk toward the mess. Spend some time brainstorming your life story. What moments stand out to you as possible contributors to your smallness or voicelessness? Did you experience anything significantly painful, hurtful or traumatic? The tumultuous family years where you didn’t feel safe and secure. That awful thing your boyfriend said to you about your body that made you want to disappear. That one time your family member yelled at you and said that really hurtful comment that made you cry yourself to sleep. The teacher who shamed you every time you didn’t know the answer to her questions. That hurtful nickname everyone called you in junior high. All the moving around you did – made it difficult to make and keep friends. The abuse you experienced growing up or in that relationship. Remember the end goal. We are moving towards gaining our voice back and expanding into our full, truer self. And we are taking these steps in confidence, believing God will meet us here in a huge way – to bring us out of darkness into His light; to give a voice to the voiceless. Spend 15 minutes this week making your list. Try to be as honest as you can about the moments, things, people who contributed to you being small and voiceless.